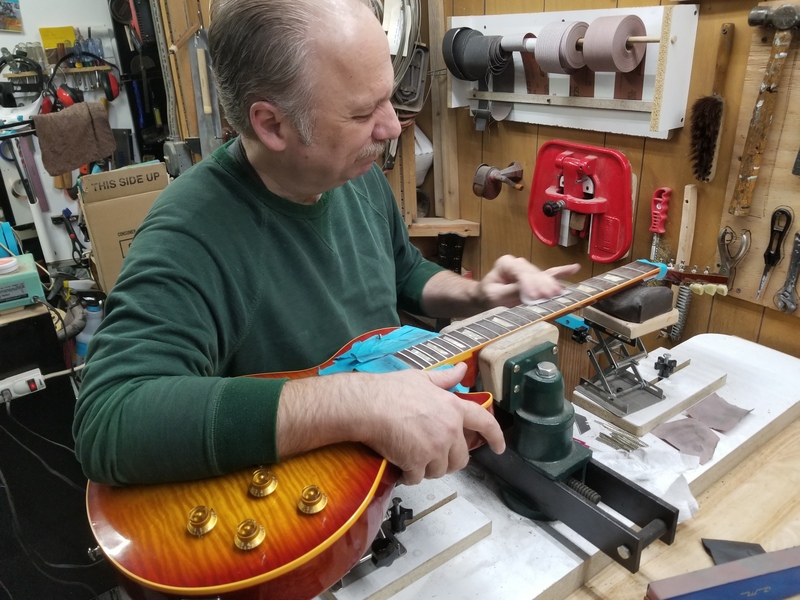 Here’s Dan Shinn working on the frets of this Gibson Les Paul R9. The R9 is a reissue of a 1959 Les Paul. Hand sanding the frets is part of a complete set up.